It’s a normal Wednesday afternoon in Silverlake, LA and, in a minute, says DJ/ producer Martin Doorly, Idris Elba is “popping over” to record some vocals. When that’s done, says Doorly, Switch, who lives just down the road, will be coming over to help him produce the tune to go with them. And Switch’s brother, the Hollywood screenwriter Danny Taylor, was “just here a minute ago”, because he wrote the lyrics that The Wire star Elba is putting his “spoken word-style vocal” to. “It’s going to end up being a Roland Clark-style tune,” says 33-year-old Doorly, who moved to LA from the UK in 2012. By the time that comes out, we’ll already have our hands on Doorly’s new album project, a half-production-half-DJ-mix ‘Toolroom Knights Mixed by Doorly’ LP, out now on Toolroom Records. The album is a 32-track chunk of good, solid house music, including his own exclusives, some of his more recent releases and tunes from house stalwarts such as Steve “Silk” Hurley, Green Velvet and Breach. Doorly’s own ‘Jazz Rascal’ is on there, alongside his mix of Jesse Rose & Brillstein’s ‘Shuffle the Paper’ alongside timeless tidbits such as the acapella of Blaze’s ‘My Beat’ and Doorly’s own mix of Claude Von Stroke’s ‘Clapping Track’. ves the re-launch of the American producer’s S-Man entity. All these artists, says Doorly, are the producers whose records he first started buying nearly 20 years ago, when he was in his final year at school, living in Warrington, eagerly collecting vinyl and dreaming of being a DJ. Thing is, Doorly might be hot property on the US house music market right now, but this isn’t the first time he’s enjoyed a flicker of fame in the strobe-light of success. Before he was known for crafting the tidy, tasty 4/4-driven tunes we all know him for now — such as ‘I Want You To Dance’ and ‘Don’t Worry About It’ — Doorly was famed for his dubstep productions. It all started, he says, back in 2009, when he was working as a DJ, surfing the crest of the mash-up era — made popular on Radio 1 by Annie Mac — by playing “all kinds of genres”. It was after he played a gig alongside dubstep impresario Rusko, says Doorly, that he decided to remix Dizzee Rascal feat Armand Van Helden’s ‘Bonkers’. If that monster ‘Bonkers’ remix didn’t change everything, it was his 2010-released dubstep version of Basement Jaxx’s ‘Raindrops’ that really got Doorly noticed, especially Stateside. On home turf, Doorly started getting booked to play more gigs on line-ups that included the likes of Skream and Rusko and, he says, it was around that time that dubstep “got Americanised and became all noisy”. That night, Doorly remembers, he was “playing everything, kind of like a 2ManyDJs thing”. Halfway through his set Andy McKay, who runs Ibiza Rocks (and formerly co-ran Manumission) came over and said, ‘Can you clear your diary and play for us for the summer, as our resident’. Doorly recently moved to LA. As soon as he got there, he made a big room-style, piano house tune called ‘Rush’, that he signed to Diplo’s Mad Decent label. The tune got picked up on by Mark Knight, who approached Doorly’s management and said “That release he’s done on Mad Decent, we’d like to do it for the world”. Toolroom re-released ‘Rush’ on Toolroom and asked Doorly for more. 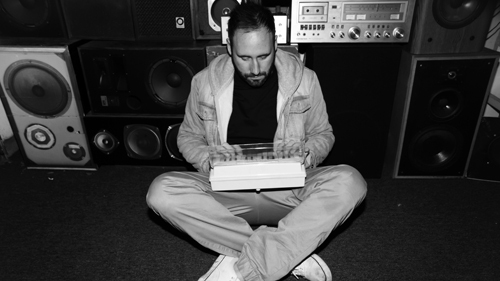 Next, Doorly released explosive house tune ‘Don’t Worry About It’ on Southern Fried (he went on to mix the fourth installment of that label’s 'Fried & Tested' compilation series with that tune included on it). ‘Don’t Worry About It’ was immediately picked up by Claude VonStroke and Justin Martin, who seemed to play it in every set they did at that time.